Sometimes it's interesting how new products churn out. My orignal intention was to create a garlic sauce for the noodle. I had loads of garlic peeled and I started to caramelize them in oil. 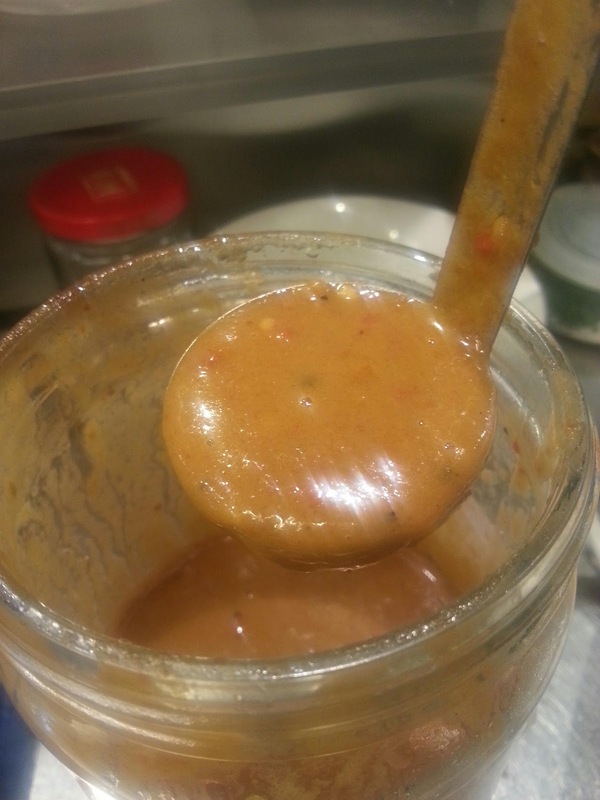 Soy sauce was used to flavour the mixture and it was then pureed into a smooth sauce. It just didn't taste right. I didn't like the "green" taste of the garlic and was thinking of starting over. Just as I was thinnking, Tina gave me an idea and said soome people want a hot sauce. So I decided to turn the garlic sauce spicy. I added dome Szechuan peppers, fresh chillies and put the mixture back on the stove. 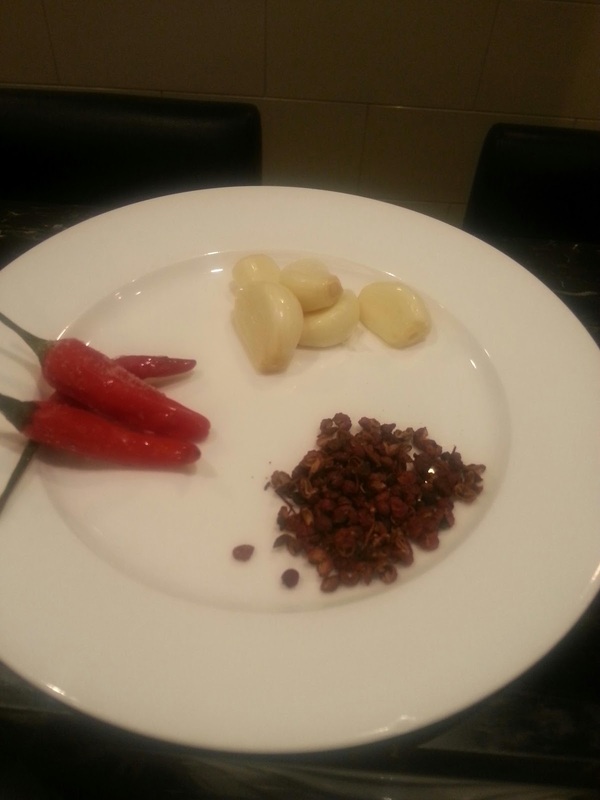 The aroma of the pepper corns was great though the chillies behaved strangely. They weren't spicy, so I had to put a lot in the mixture. In the end, the green taste was removed and I have a great garlic spicy sauce for the noodles.